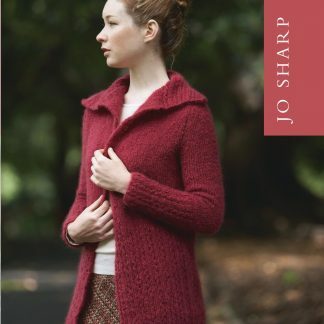 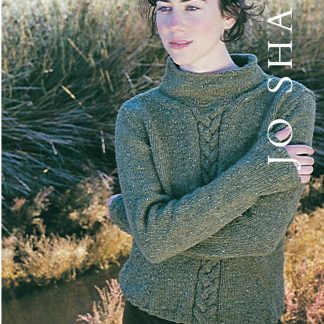 A classically shaped pullover sweater knitted in stocking stitch throughout. 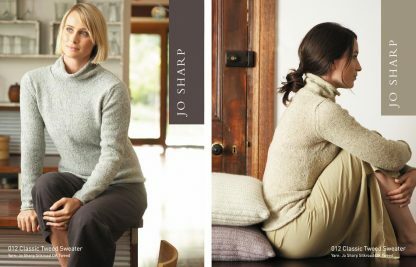 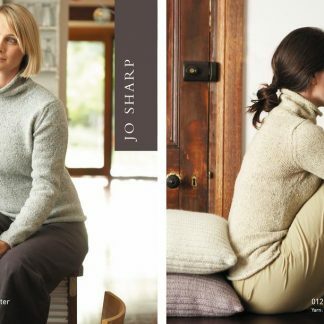 The set-in sleeves create a more tailored look and the stand-up rolled neck are easy to knit and good looking standing up or rolled down. The simple ribbed cushions are worked in Alpaca Kid Lustre.